Shopping for The Aristocats Backpacks? Everybody wants to be a cat! This cat-tastic backpack features Marie from Walt Disney's classic movie The Aristocats. 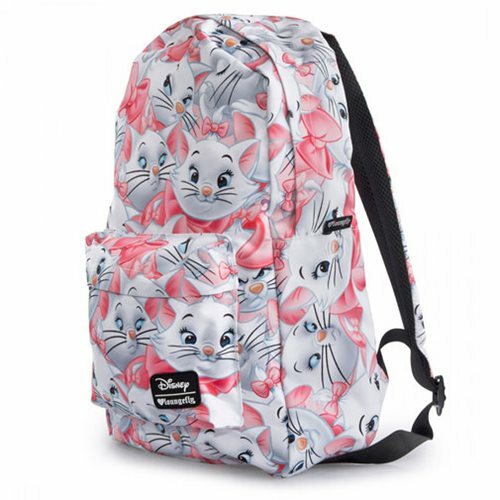 The Aristocats Marie Print Backpack is printed on nylon and features an interior laptop pocket. Measures about 17 1/2-inches tall x 11 1/2-inches wide x 5-inches deep.